The death of every person matters to someone. When I find an obituary announcement that tells of someone’s death, added by the words `No Service by Request’ I feel that the loss is somehow compounded. What does that mean, `No Service by Request’? Does it mean that the deceased person was trying to protect their loved ones from going to the bother of arranging a service? Does it mean they experienced a very offensive funeral or memorial service and don’t want such a thing to happen at the end of their life? Does it mean the traditional funeral service is not meaningful for them, and they don’t want hypocrisy to have the last word? Are they worried about the financial cost? Whatever the reason, I encourage you to have a second thought about it. 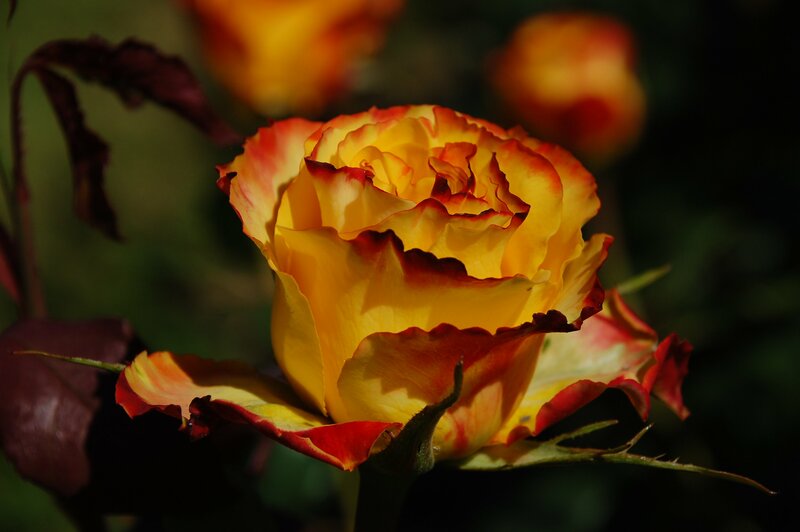 Whether you are comfortable with a traditional funeral, or want to have a beach party to celebrate your life, it is important that your friends and family have an opportunity to acknowledge your death and honour your life. With over 28 years of ministry experience I know the importance of meaningful ritual. 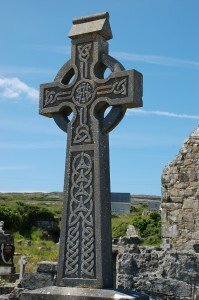 We human beings need to mark the important passages of life, and that includes death. A ritual at the end of life, if well done, can be a great source of healing and strength for our loved ones. So, why not have a hand in designing what you want! Come and explore the options. Unlike a legal will which outlines who receives your worldly possessions, an ethical will is a heartfelt expression of what truly matters most in your life. It’s a way of passing on values not valuables. What stories, values, hopes & blessings do you want to share with your loved ones? Who inspired you? Whom do you want to inspire? We’ll look at such topics as: What is an ethical will? Who should write one? What should you include? What resources are available?What will help you turn your ideas into a reality? Bring your friends and family – come and be curious about the possibilities. This free information workshop will be held at the Sicamous Seniors Centre on Friday, October 9th from 10:00 AM – 11:00 AM, with leadership by Rev. Juanita Austin, minister at Sicamous United Church. For more information and to register, please call 250-832-6385. Our dear friend and one of the matriarchs of the church (in the best way) Esther Erikson passed away in July. 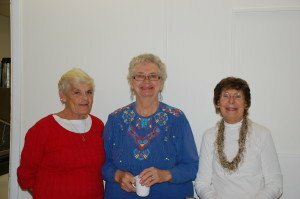 Esther was a gifted artist, musician, and congregational member, and deeply involved in many organizations in the Sicamous area. Please join us in honouring Esther’s life on Friday, August 28th at 3:00 PM at the Seniors Centre in Sicamous. 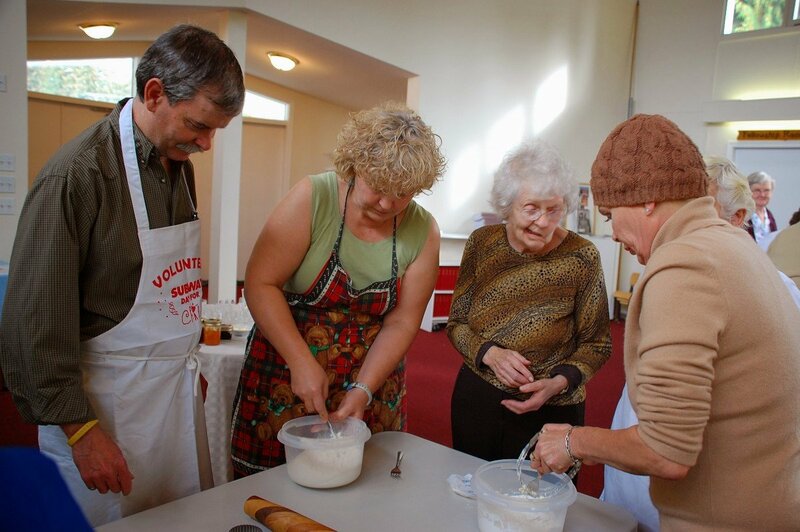 Esther loved to bake – bring cookies or squares to share. 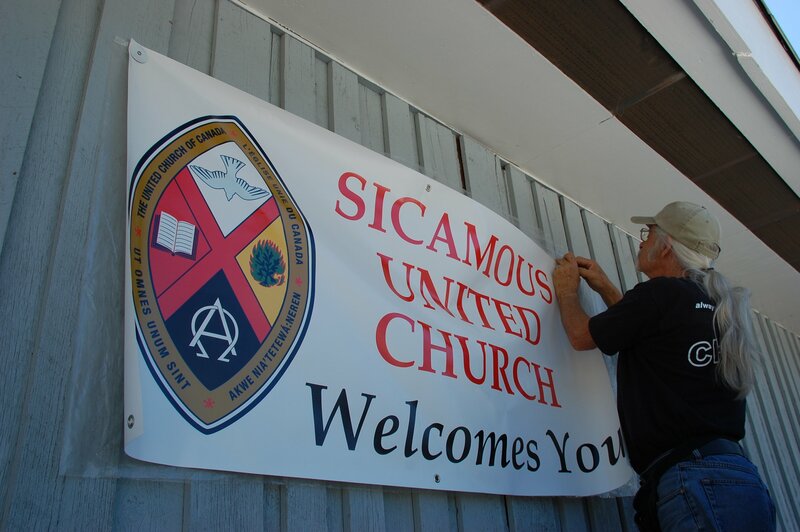 Have you seen the new banner at Sicamous United Church? Where’s that? It’s that blue building attached to the Thrift Shop – yup, it’s a church. The banner, as well as saying Sicamous United Church welcomes you, shows the new crest for the United Church of Canada (UCC). When the UCC was born 90 years ago, the forming churches brought their symbols into the crest. The open Bible came from the Congregational churches with their emphasis on God’s truth that makes people free. The dove represents the transforming power of the Holy Spirit – a symbol from the Methodist churches. The Presbyterians chose the burning bush, from the Exodus story of Moses encountering God. It signifies the indestructibility of the gospel. In 2012 the crest was updated to incorporate the four colours of the Aboriginal Medicine wheel, reflecting respect for diversity and interdependence. The perimeter ribbon contains four languages – The name of the church in English and French, ut omnes unum sint – Latin for “That all may be one” part of Jesus’ prayer for his disciples in John17:21; and a phrase from Canada’s many Indigenous languages, “All my Relations” In Mohawk it reads Akwe Nia’Tetewa’:neren. Mohawk was chosen because it was the first documented ministry between Aboriginal peoples and one of the founding denominations – Methodist missionaries. Well, that’s the history lesson, but the real ministry happens with community connections through the Thrift Shop, thanks to our amazing volunteers and hardworking staff. It goes on Sunday by Sunday, as we open our hearts and minds to God – learning, praying and singing together, and it goes on as we give back to the community through grad scholarships, camp registrations, assistance to the Resource Centre and many other forms of care for neighbours near and far. You really are welcome at Sicamous United Church. On Sunday, May 17th, Rev. Juanita will be talking about the Conference she attended in Vancouver last month called: Seeking the Peace of Jerusalem. 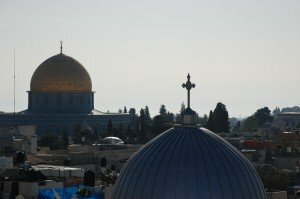 Overcoming Christian Zionism in the quest for justice. This was the mission statement those attending the conference agreed to: We aim to empower the many people – Christians, Muslims, Jews and others – who are committed to peace, justice and reconciliation through non-violence in Palestine and Israel, with alternatives to Christian Zionism. We are called to proclaim justice and mercy while questioning Christian Zionism, often pervasive in faith traditions and the highest levels of political leadership. We endeavour to give voice to Palestinian Christianity, all voiceless Palestinians, and others silenced in the face of the violent and illegal Israeli occupation. 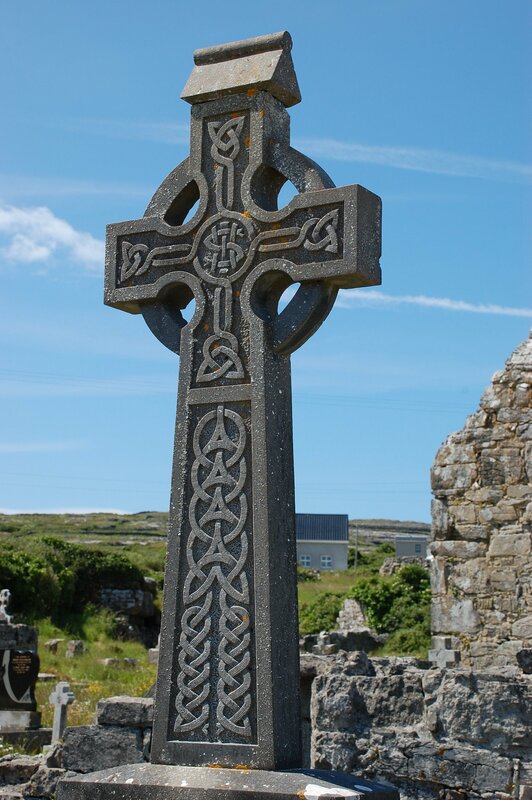 Celtic cross on the Island of Inishmore, Ireland. Welcome to the lead-up to Easter Sunday. 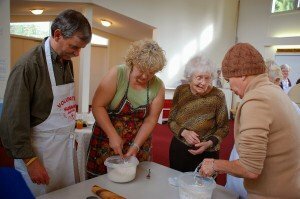 Ok, so coffee and cookies aren’t officially part of the Lenten or Easter seasons, but at Sicamous United Church we have our own way of doing things! Saturday, March 28th from 11:00 AM to 2:00 PM our congregation will be hosting Coffee & Cookies, as a way to say thank you to our patrons and volunteers at the Thrift Shop. Directly following this, the sanctuary will be `changed up’ for a practice run of Palm Sunday’s play – A Holy Week Broadcast. Palm Sunday, March 29th 10:00 AM Journey together during the last week of Jesus’ life, through ‘A Holy Week Broadcast’, a great little play by David Kai, featuring our roving reporters Adam and Eva, and JOB radio host Jerry Myah. Good Friday, April 3rd 7:00 pm Dare to go deep as we accompany Jesus to the cross, through prayer, silence, song, and reflection. We gather by candlelight as the evening progresses. Easter Sunday, April 5th 10:00 AM Celebrate this day of hope and new life with our musical guests – the Black & Bluez Band. Need a destination get-away (but can’t afford a big trip?) 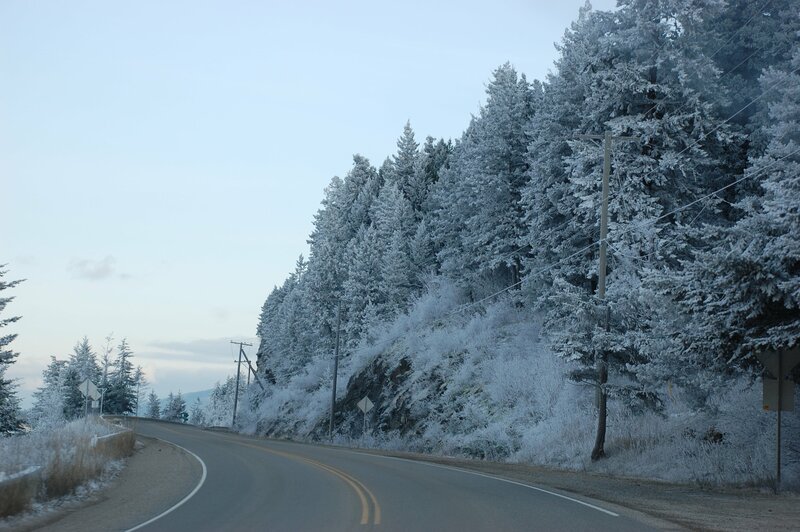 You are invited to a Pancake Supper at Sicamous United Church on Tuesday, February 17th at 5:00 PM – this includes tea or coffee, juice, sausages and fruit toppings. Tickets are $5.00 and are available at the Thrift Shop: Wed- Sat 10AM to 3PM. Children under six years dine for free. We’re having a musical jam after supper so bring your instruments, songs, voices and enthusiasm. Bring the whole family and enjoy this community gathering. Here is what’s happening worship-wise at Sicamous United in February 2015. Worship services are at 10:00 AM in the sanctuary unless otherwise indicated. Feb 17th – 5:00 PM Shrove Tuesday Pancake Supper followed by musical jam session. Bring your instruments, songs & voices! Bring out the Baptismal Treasures! 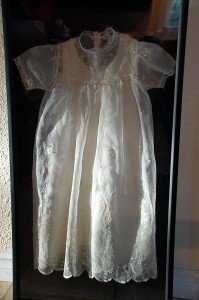 You are invited to celebrate Georgia’s baptism on Sunday, Janauary 18th and your own baptism by bringing treasures – any pictures of your baptism, family baptismal gowns, certificates etc. As we welcome Goergia, we rejoice that we are all welcomed (baptised or not) by God who loves us uncondionally and knew us before we knew ourselves. 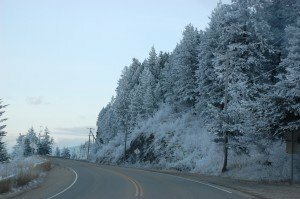 Shortly before Christmas 1984, as my husband and I realized that in a few short years, we might never be able to go `home’ for Christmas again, we agreed to make the long journey from Vancouver to Ft. Nelson – a distance of 1000 miles. In a few years we would both be ordained as United Church ministers and, well, local congregations seem to like their ministers around at Christmas time. We had a little boy – Aaron, three and a half years old, and our baby Miriam, 7 months old.